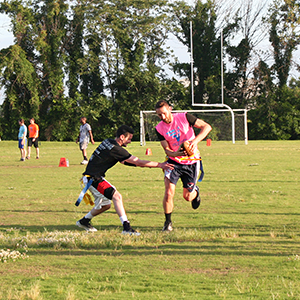 Get ready to dive for the pylons, dance in the end zones and score some TDs! 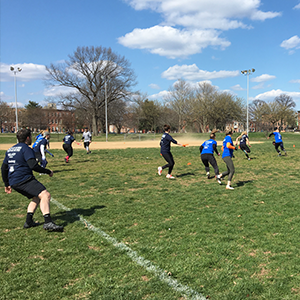 Volo City hosts Baltimore football leagues (flag and touch) in Federal Hill, Canton, and the surrounding areas. 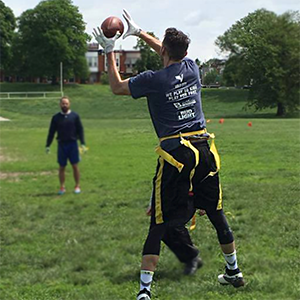 Our Baltimore football leagues allow for everyone to get involved and to meet new people! Here at Volo City we strive to make our leagues a social atmosphere for everyone. 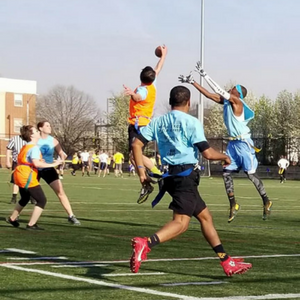 What better way to do that than to play in a Baltimore football league? After your game we’ll head over to one of our sponsor bars for a post- game celebration! 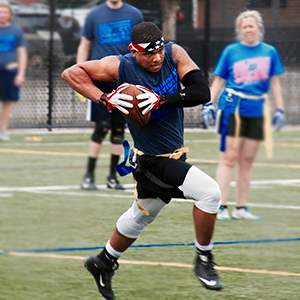 Check Back Soon for Upcoming Leagues! 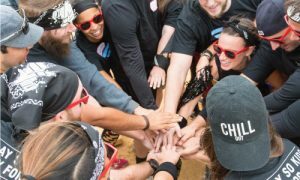 Check Back for Upcoming Leagues!